Hydroform tubes are used for high strength and high stiffness, as well as convoluted shapes for truck frames, engine cradles, radiator supports, instrument panel beams, and other components. Some holes can be pierced in the Hydroform die, however these are few and their shapes are limited. Punching holes is not possible since there is no place to put supports on the tube ID. End-cuts to these tubes are also very common and the complex shapes around these parts are always challenging for hard tooling alone. 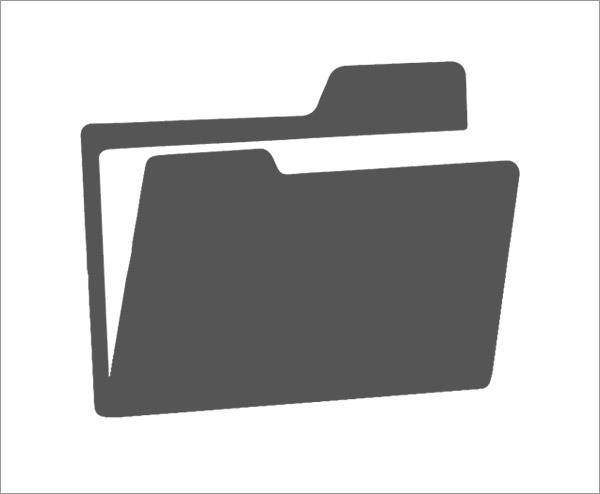 Laser cutting is a faster, more economical solution. It offers better quality than plasma cutting and can produce nearly any shape feature. Robots are usually used to move the fiber delivered Laser cutting head. Modern robots are very repeatable, low cost and easy to program. Unlike hard tools and plasma torches, Laser cutting is non-contact with a much lower consumables cost. Programming of nearly any feature can be performed with shape subroutines and the robots are fully interfaced to the laser and cutting head. An effective cutting head, part of our process tools range, is critical to consistent cutting in this harsh environment with lots of robotic motion. Using capacitive height sensing to follow the contour of the part without contact and with 25mm of travel, the cutting head helps keep the process in focus. With patented features, crash avoidance technology and rugged construction, this unit is ready for automotive robotic cells. Laser cutting cells often employ multiple robots and Lasers with time-share multiplexing so one robot can cut in sequence while one or two other robots move to their next hole feature. This is termed air-time. A double-tooled turntable allows Laser cutting on one side of the table while a load/unload process takes place. The turntable then rotates 180 degrees and the cycle begins again. Some larger frame cutting systems will use a linear pass-through cell. 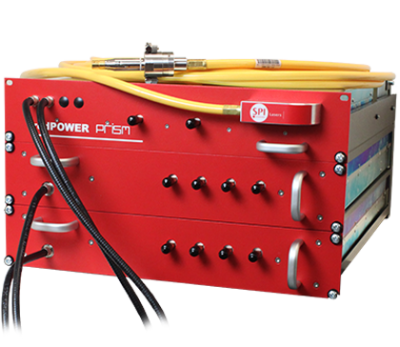 CW Fiber Lasers produce the average power for fast cutting. Super modulated output is important when cutting zinc coated steels. The modulation improves cutting speed and edge quality by reducing the effects of the zinc vapor with the molten metal flow. Coaxial oxygen is used to aid in the cutting process and keep the optics clean. Lasers in the 500W range are used most often with steel thicknesses up to 2.5mm. 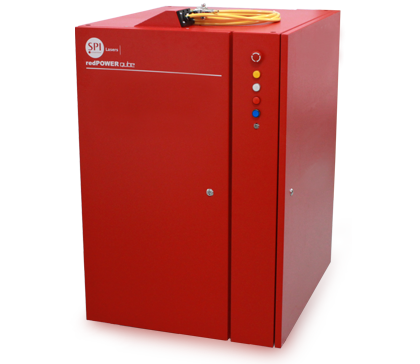 If higher speeds are needed or if thicker materials are involved, 1kW units are available.